Basement Insulation: What Kind to Use?- Armchair Builder :: Blog :: Build, renovate, & repair your own home. Save money as an owner builder. Basement Insulation: What kind to use? 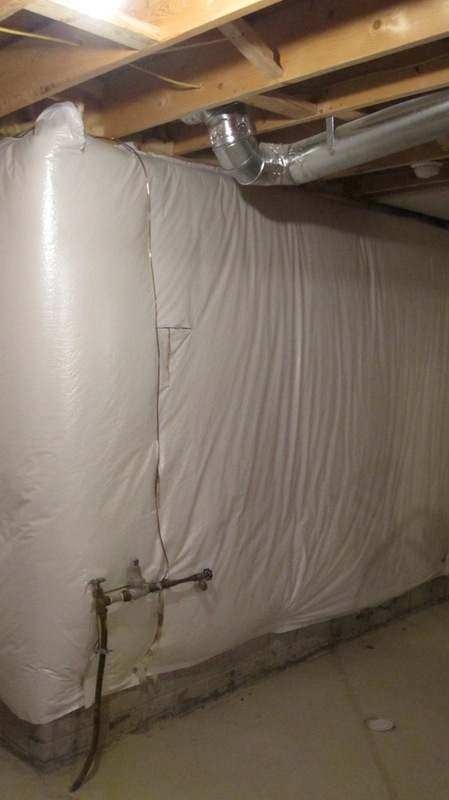 We recently had a reader ask for some help choosing basement insulation for their new project. They will be finishing off the space in the near future themselves so they are looking for the best solution to cover the walls in the meantime. We thought we would share our recommendations with you in case you have a project on the horizon. The first thing to consider before installing basement insulation, or finishing it for that matter, is to make sure there are no structural issues. You don’t want to cover up a problem. Check for any cracks. If there are cracks, check to make sure these are not displacing in any way. If there is evidence of movement in the crack, have a structural engineer evaluate the wall. It’s best if the engineer does not do repairs as this leads to a conflict of interest. You don’t want them to be rewarded for finding a problem. For example, you don’t want them to think they might get work from you if they tell you something is wrong. Pay them for a professional opinion…and that is all. Next you want to make sure you have no leaks either around the floor or through the walls. We mentioned this above but here it is again…you don’t want to cover up a problem in the walls. Once you cover the wall, it can be difficult to detect and correct a problem. And of course, water can create mold issues over time. Check your basement after the next major rain event. If any moisture is present, deal with that prior to adding new basement insulation. Our next recommendation was for the homeowner to use an expandable foam insulation to fill any gaps between the framing and the top of the foundation wall. These gaps can have a huge impact on the energy efficiency of your home.. If you don’t plan on finishing your space soon, you don’t want to use foam board for basement insulation. Why? Because the board isn’t a fire resistant material. Meaning, you will need drywall or some other fire resistant material to be applied over top to help contain possible fires. Once the basement is framed, the homeowner can decide whether they want to add to insulation to the framed wall as well. We also recommended the homeowner put a call into the local building department to get some input. Because local codes vary, sometimes dramatically, we didn’t want to recommend something that would need to be removed when the finishing started. The insulation shown in the picture above is common in homes built in more recent years. This is not a bad alternative…although if you plan on finishing in the future, it takes up more space than we would like in our own basement. Because it’s made with fiberglass, you can’t compress the material or it will lose its insulating properties. For some detailed videos on finishing your basement, check out the video tab at our main site or go to… How to Finish Your Basement.